Colorful books capture children’s curiosity! Even adults are led to choose books based on thier cover. Literally-judge a book by its cover! It’s ok-go ahead and choose a book to read based on what you see. I teach my students that when they write and make illustrations, they should keep in mind that someone else will be reading their work. This encourages them to work harder and more carefully, instead of quickly. Did you know that most people’s strongest sense is thier sight? What we see leads us to investigate. Investigations lead to learning. Learning leads to creating and creative thinking leads to new ideas! Isn’t that amazing-a book has the power to open up our imagination and creative thinking! I love books for this reason. Even fictional characters portray creative thinking. 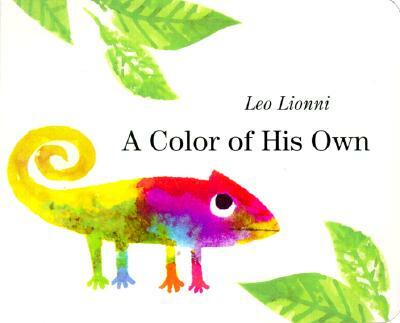 The chameleon in the story, “A Color of His Own” by Leo Leoni lets his curiosity lead him to colorful transformations. 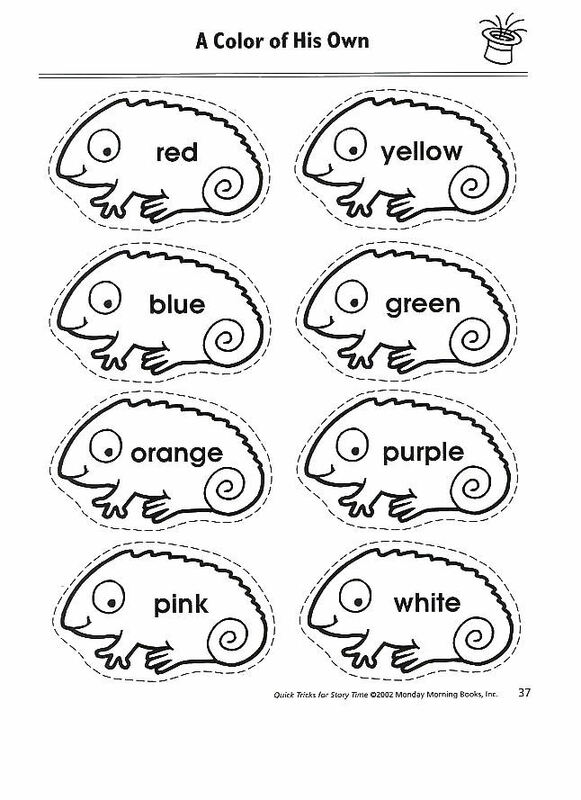 After reading this story to your students, have then create their own chameleon. ← Outdoor Play is Important for the Brain! Thank you so much for the lovely printable! You are very welcome. I did not create it however-it’s a gem I found on Pinterest!